A Happy Song: Fancy Felt! We are pleased to announce that our first shipment of Giant Dwarf felt is here and being used in our felt flower hair clips. We've chosen the Rose Garden collection for Spring. 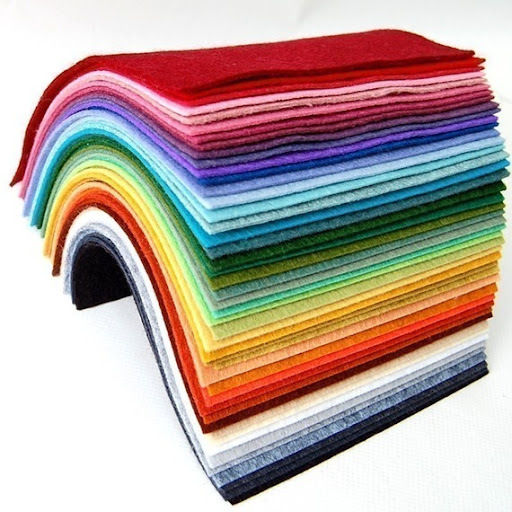 Giant Dwarf's fancy felt is soft and vibrant. 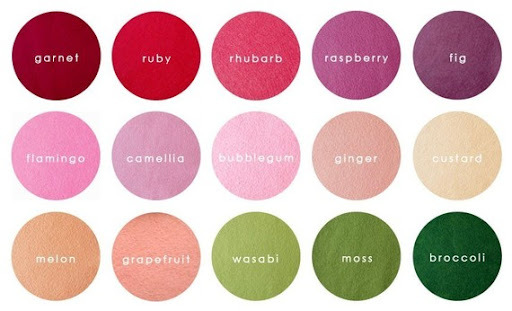 Fancy Felt is an eco-friendly wool + viscose blend fabric made in the United States. Plus, it makes me happy just looking at the stack of colorful felt. I love to create with high quality materials! Check out one of our cute models: Alexandra wearing "The Alexandra".